A few weeks ago, I wrote about the Cortese grape and was promptly called out on Twitter by my friend Tom whose blog you can read here. His good-natured charge against me was that Cortese wasn't an unusual enough grape and Gavi wasn't a Fringe enough wine for me to be writing about. Since this is pretty much the only limiting criteria that I have for content on my site, it's a question that I take very seriously and one that I struggle with on a regular basis. Just what grapes and wines are unusual enough to write about here? It's pretty obvious for the most part whether a certain grape or wine is suitable for inclusion, but there are some gray areas that are difficult to navigate. My general rule of thumb is that I try to feature wines and grapes that the average American wine drinker (not out of any kind of pro-USA chauvinism but rather out of a kind of lack of international imagination on my part) would find unusual, but "the average wine drinker" is a difficult entity to pin down. The farther I go down the unusual wine rabbit-hole, the farther away I find myself from the "average" wine drinker and the harder it gets for me to imagine what someone labeled as such might think about a given topic. It's a question that I've struggled with since day one and my notebooks are littered with entries on grapes like Silvaner, Müller-Thurgau, Roussanne and Marsanne which fall right into the grey zone for me between common grapes and unusual ones. I've obviously decided to throw caution to the wind today and write about the Marsanne grape, and there are a few things that helped to tip the scales in this particular case. The first thing is that the two wines I'm taking a look at are pure varietal wines made from 100% Marsanne grapes. Marsanne is generally used as a blending grape not only in its original home in the northern Rhone Valley but also in many of the new world areas where it has established itself to a limited extent. It is usually partnered with Roussane and Viognier in the white wines of the northern Rhone, though up to 15% Marsanne is allowed in the red wines of the Hermitage region. Some varietal wines are made from Marsanne in the Rhone Valley, but they can be difficult to find since most wines are labeled by appellation and not by grape there, and not all producers indicate the varietal breakdown on the back label. The second thing is that neither of the wines that I'll be writing about are actually from the Rhone Valley, or France for that matter. France has about 1200 hectares planted to Marsanne (very close, incidentally, to the 1100 that Italy has planted to Cortese), and the overwhelming majority of the plantings are in the Rhone Valley (the rest are scattered in limited quantites among Savoie, Languedoc and Provence). 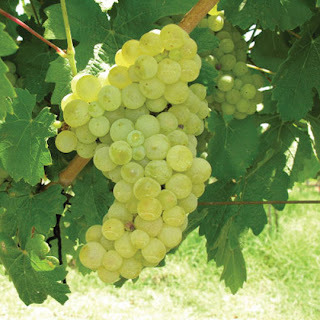 Marsanne is actually the most widely planted white grape in the Hermitage region and takes up a significant amount of land in the nearby regions of Crozes-Hermitage, St. Joseph and St. Péray. Today's wines, though, come from the new world areas of Australia and California whose vinous reputations are definitely built on the backs of other grapes. Before getting to those wines, though, I'd like to take a closer look at the Marsanne grape itself. As mentioned above, in its native Rhone Valley, Marsanne is typically blended with Roussanne and Viognier for white wine production. Given the similarity in their names, I wondered whether Roussanne and Marsanne were somehow related, but apart from a few off-hand references to the grapes as "siblings," I can't find anything definitive on the matter. I took a look at the DNA profiles on file at the VIVC database and there's an awful lot of overlap between not only Marsanne and Roussanne, but also with Viognier. The grapes all have at least one match at each of the six loci shown which would seem to suggest some kind of relationship, but it's difficult to say exactly what the relationship might be without more data. Marsanne is a relatively high yielding vine which has caused many growers to devote more acreage to it than to its companion Roussanne, which yields less generously and more erratically, in the northern Rhone Valley. It is prized for its rich body and heady perfume but can suffer from a lack of acidity if grown carelessly or in excessively warm areas. Outside of France (but still within Europe) Marsanne can be found in limited quantities in Switzerland, where it is sometimes known as Ermitage, and northeastern Spain, where it is known as Marsana. The explosion of interest in Rhone varieties in the 1980s led to limited plantings of the grape in California as well, but it is probably in Australia where Marsanne finds its truest expression outside of the Rhone Valley. Though there are less than 250 hectares devoted to it in Australia, some of the vines there are thought to be among the oldest Marsanne vines on earth. Tahbilk Winery, who made the first wine I'd like to take a look at, can trace some of their Marsanne vines back as far as 1927. I was able to find a bottle of the 2006 "Museum Release" Marsanne from my friends at Curtis Liquors for about $15. In the glass this wine was a medium greenish-gold color. The nose was fairly intense with ripe apple, honeysuckle flower, ripe pear and nutty vanilla with a biscuitty, pastry-like aroma as well. This wine had obviously spent some time in oak and was wearing it pretty loudly. On the palate the wine was full bodied with fairly high acidity. There were flavors of lemon, apple and pear fruit along with some honeysuckle, creamy vanilla and pie crust. Again, the oak was apparent, but it was much more thoroughly integrated into the flavor of the wine than into its aroma. Despite the wine's heft on the palate and Marsanne's propensity towards flabbiness, this wine was very deft and balanced with a lovely vein of acidity that really held it together. At $15, this wine is an absolute steal that I could see developing even more in the bottle for another decade or so. The second wine that I tried was the 2010 Ambyth Estate Marsanne from Paso Robles California. This wine is distributed by MBJ Wine Group, who provided me with this sample bottle gratis and with whom I do have something of a professional relationship. * Ambyth Estate is a biodynamic producer that focuses on Rhone varieties and is committed to "natural winemaking" practices, meaning minimal intervention and, in this case, no added sulfites. In the glass the wine was a fairly deep lemon gold color with a bit of haze to it. The nose was moderately intense with delicate aromas of honey, honeysuckle, peach and ripe red apples on their way towards cider. On the palate the wine was medium bodied with medium acidity. The flavors were also delicate and subtle with ripe apple and apricot fruits along with a touch of honeysuckle and apple cider. The wine presented an interesting mixture of delicacy and perhaps light oxidation. It's a lithe, nimble wine that is a very different animal than the big, oaky example from Australia above. *I am essentially an editorial consultant with them, for which I do receive slight compensation. I have not received any compensation for this review, however, and any opinions I express about this wine are my own honest feelings and do not necessarily represent the thoughts or opinions of MBJ Wine Group. Generally speaking, establishing the pedigree of man-made crossings and hybrids is a pretty simple task. The people who create these new grapes are typically working in a research laboratory environment and they tend to keep detailed notes and logs about their efforts. Even those grape breeders who are working outside the confines of a university (like our old friend Elmer Swenson) tend to keep written records of their experiments and to meticulously track the pedigree of each grape that they create. Pedigree reconstruction for these grapes is supposed to be an easy thing because we don't have to try and reconstruct a process of nature. A person was not only there for the birth of a new grape, but was directly responsible for putting both of its parents together. Despite this, it does occasionally happen that the parentage of a man-made grape comes into dispute. A few months back we took a look at the Emerald Riesling grape, which was created by the legendary Dr. Harold Olmo at UC Davis in 1948. Olmo's own paper announcing the release of the grape lists the grape's parentage as Muscadelle of California and White Riesling, but the Oxford Companion to Wine online edition lists the parentage as Muscadelle and Grenache. As mentioned in my post on Emerald Riesling, the OCW declined to provide any additional details about their claim, other than to assert that the parentage given by Olmo was incorrect. They promise that their new book on wine grapes, which will be published later this year, will provide more details and we'll just have to wait and shell out the $125 to read all about it then. Part of the pitch for this new book from the OCW publishing crew is that they brought a grape geneticist on board who not only reviewed and incorporated some of the most up-to-date literature on grape DNA analysis, but also conducted a number of analyses himself explicitly for inclusion in this particular book. My guess is that whatever new parentage they've uncovered for Emerald Riesling is the result of this private research. I'm very interested to read their take in this new book and hope that these results turn out to be more viable than their assertion that Hondarrabi Zuri and Noah are the same grape. I personally find it unlikely that Harold Olmo would be mistaken about the parentage of a grape that he created, but if he was (**UPDATE** he was), it turns out that this wouldn't be the first time that something like this has happened. 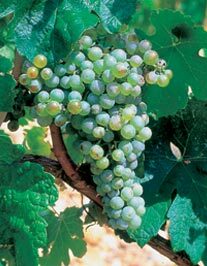 The subject of today's post, the Vignoles grape, was created in France by a private breeder named J.F. Ravat around 1930. The grape was known as Ravat 51 until 1970 when the Finger Lakes Wine Growers Aassociation renamed it Vignoles. The parentage of Vignoles was reported as Seibel 6905 (also sometimes known as Subereux) and Pinot de Corton. This parentage is given in a number of different sources (Iowa St., Wikipedia, the OCW, the VIVC and the National Grape Registry, among others) with a few minor variations. First, it turns out that there isn't any grape known as Pinot de Corton, so some assume that Pinot de Corton refers to a clone of Pinot Noir from the Corton region of Burgundy and thus report Pinot Noir as a parent rather than Pinot de Corton. Additionally, Wikipedia reports the other parent as Seibel 8665 rather than Seibel 6905 (which is almost certainly a mistake), while the OCW simply says that the other parent is Seibel (which, as far as I know, is not a name given to any individual grape, but is rather used generally to refer to the thousands of various grapes that Albert Seibel created during his career). The problem, it turns out, is that neither Seibel 6905 nor Pinot Noir are actually the parents of Vignoles. In a study published in 2008 (see citation 1 below), a research team from UC Davis and Cornell University examined a number of hybrid grapes that are commonly used by the Cornell breeding program to see whether their purported parentages were accurate. Of the 24 grapes that they examined, the given parentage was confirmed for 20. Two of the others were the result of a vague description and one other had Gamay reported as a parent but was actually the offspring of Pinot Noir. Vignoles was the 24th grape, and the team was able to conclusively rule out both Pinot Noir and Seibel 6905 as parents. Unfortunately they were not able to identify the actual parents of Vignoles, so that bit of its history remains a mystery. The research group tested two other samples of Vignoles to be sure that they didn't have an anomalous grape and both of those samples came back identical to the first sample. They offer as a possible explanation that perhaps what is known in the US isn't actually Ravat 51, but it's hard to know how at this point how that might be tested. Vignoles was introduced into the US in 1949 and was given the catchy moniker P17857 (or sometimes 181481). As mentioned above, it was renamed in 1970 by the Finger Lakes Wine Growers Aassociation, though I'm not sure what led them to choose the name Vignoles. The grape buds late, which helps it avoid early spring frosts, and has small berries with thick skins. Despite that, the berries are not only prone to cracking, but are also very susceptible to botrytis cinerea infection in both its good and its bad forms. It is naturally high in sugar and acid and as a result many wines made from it are either made in an off-dry style or as a late-harvest style dessert wine. It is moderately cold hardy which has made it popular in cooler climates like the Finger Lakes region of New York. During my vacation to that area last year, I picked up three different wines made from Vignoles, all from the same producer but each in a different style. The first wine was the standard table wine offering from Anthony Road on Seneca Lake. I picked this up for about $13 from the winery and tasted it at our beautiful cabin on the lake (seen in the background of the picture at right). In the glass this wine was a medium gold color. The nose was moderately intense with white peach, grapefruit peel and pear fruit along with a touch of something vaguely floral. On the palate the wine was medium bodied with fairly high acidity and was off-dry. There were flavors of honey, white peaches, grapefruit peel, and pineapple. There was a touch of something bitter on the finish that was a little disconcerting, but overall this was a very nice wine, especially for the money. It is somewhat Riesling-like in its balance of sweetness and acidity, but isn't quite as graceful as some of the best Rieslings. The second wine that I tried was Anthony Road's "Sweet Dream," which is a late-harvest dessert style wine made from Vignoles grapes. This wine was from the 2007 vintage and set me back about $16 for a half-bottle. In the glass the wine was a fairly light amber-gold color. The nose was pretty intense and pungent with pineapple, ripe peach, baked apple and orange marmalade fruits along with something that I couldn't quite identify but which smelled kind of like kerosene or like an old camping lantern. On the palate the wine was full bodied with fairly high acidity. It was very sweet (16.2% residual sugar) and had flavors of pineapple, honey, orange marmalade and orange peel. This wine finished with the same kind of bitterness that the table wine had, but it was more pronounced here. Overall the wine was OK, but that assessment may have something to do with the fact that I drank it the day after the next wine that I'll be writing about, which is a wine that it had no hopes of being able to compete with. The final wine that I tried was the 2008 "Martini-Reinhardt Selection" Vignoles Trockenbeeren, which I picked up from the winery for $75 for a half bottle. If that price sounds extravagant, well, it kind of is. This wine is made from grapes infected with noble rot, botrytis cinerea, which, as mentioned above, Vignoles is particularly susceptible to. It is extraordinarily rare for grapes to be infected with noble rot in the Finger Lakes region, but in 2008, the conditions lined up just right for some of the Vignoles and Riesling vines at Anthony Road to fall victim to the fungus. The winemaker at Anthony Road recognized what was going on and decided to make a sweet wine in the style of the great Trockenbeerenauslese wines of Germany or the Sauternes wines of France. These wines are typically very expensive because you get very little juice from the desiccated grapes (in Sauternes it is said that an entire vine yields a single glass of wine) and because the grapes have to be monitored daily and hand picked cluster by cluster and sometimes berry by berry in order to ensure that the best grapes are being used. It's a labor-intensive process that requires an experienced eye and a lot of extra time. In the glass this wine was a medium amber gold color. The nose was fairly intense with aromas of marmalade, honey and stone fruit along with the same very pungent, almost kerosene like smell. It was much stronger in this wine than in the other and may have been a by-product of the botrytis fungus itself (some of the berries for the prior wine may have picked up a little botrytis on the vine but not enough to make a wine in this particular style). On the palate the wine was full bodied with high acidity. It was lusciously sweet, clocking in at a whopping 26.5% residual sugar. There were flavors of ripe peaches, orange marmalade, honey, green apple and lime curd. In a word, this wine was extraordinary. It was impeccably balanced with an amazing tension between the electric acidity and the rich, dense, explosively sweet fruit flavors. It is well worth every penny of its steep price tag and if there's a better wine on earth made from Vignoles grapes, I'd be extremely surprised. 1. Bautista, J., Dangl, G.S., Yang, J., Reisch, B., & Stover, E. 2008. "Use of Genetic Markers to Assess Pedigrees of Grape Cultivars and Breeding Program Selections." American Journal of Enology and Viticulture. 59(3). pp 248-254. Cabernet Sauvignon is almost certainly the most well known red wine grape on earth which ordinarily would fall well out of bounds for a site focused on unusual wines. Part of what makes a wine unusual for me, though, is the style that it is made in, and today's wine definitely fits the bill for unusual styles. The wine that I'd like to take a look at today is an ice wine made from Cabernet Sauvignon, which certainly isn't all that common, but the more I thought about it, the more I started to realize that wines made from Cabernet Sauvignon in general fall into a very narrow range of styles. This is true of a lot of wine grapes, but seems to be especially true of Cabernet Sauvignon. The range of styles available for a given wine made from a given grape are generally much wider than most people realize, but with the exception of grapes like Pinot Noir or Chardonnay, most of the great wine grapes of the world are made into a very limited number of styles. Why might that be?. Let's stick with the example of Cabernet Sauvignon, which tends to be made into big, powerful red wines everywhere it is grown, though the possibility certainly exists for it to be made into sparkling wine, white wine or even dessert wine. The reason wines from this grape (and most other grapes you can think of) tend to be made in the same style all over the world is probably two-fold. On the production side of things, Cabernet Sauvignon has been grown for centuries and over that time period, people figured out that to make Cabernet Sauvignon into the best wine possible, it really needed to be treated a certain way and made into a certain kind of wine. You can make sparkling wine from Cabernet Sauvignon, but the best example you can make in that style is never going to be as good as the best still red wine made from those same grapes. Grapes have certain characteristics that make them good for some application and not so good for others and, over time, producers have recognized these characteristics and have found the best ways to accent the positive while downplaying the negative. The other part of the equation involves the consumer. Wine makers aren't able to determine which styles of wine best fit an individual grape without some idea of who is ultimately going to be drinking the wine. Let's imagine four different wineries putting four wines (one from each winery) made from Cabernet Sauvignon on the shelf, one as a still white wine, one as a sparkling wine, one as a fortified wine and one as a regular red wine. If the winery making the still red wine sells out of their wine right away while the other wineries struggle to sell theirs, you can bet that by the time the next harvest rolls around, the other three wineries will devote at least some of their efforts to making a wine like the one that everybody wanted to buy. Pretty soon all of the wineries are copying this style and the market is flooded with still red wine and few other styles for this one grape. Consumers try wines made from the same grape but from different wineries in different regions that are all stylistically very similar, and they eventually come to identify this style with the grape itself. The consumer then has a certain kind of expectation about a wine made from Cabernet Sauvignon and many are resistant to variations on that one style. Which isn't to say that I think any of this is a bad thing. The collective wisdom of centuries of wine making and wine drinking has generally not led us astray. The great wines of the world are typically those that fit into these kinds of molds or conform to these kinds of standards. Fortunately, though, this collective wisdom doesn't equate into dogma and even in places where the lawmakers limit the available possibilities for winemakers by dictating varieties and styles, there are ways to circumvent these regulations. There are still winemakers who will poke at traditions and perform experiments and there are still wine drinkers who will indulge and even revel in these breaks from the norm and as long as these things continue to happen, I should have enough material to keep this blog alive for a long time. As mentioned above, today's wine is an ice wine, which is a style that is definitely limited by a winemaker's geography. In order for a wine to be a true ice wine, the grapes must be picked from the vine and then pressed while they are naturally frozen. As you might imagine, this isn't possible in some of the warmer areas of the world, but maybe not for the reason you'd think. Let's think about a hot place like Spain, where I'm pretty sure nobody is actually making ice wine. You might think that ice wine isn't possible in Spain because it doesn't get cold enough for the grapes to freeze, but that's not necessarily true. The temperature does drop below freezing occasionally in warm climates, but the problem with making ice wine in Spain is that by the time the climate gets cold enough to freeze, the grapes are way overripe and have probably either rotted, raisined or fallen completely off the vine. Their growing is season is very hot, so the grapes ripen very quickly and reach their peak ripeness well before the temperature gets cold enough for them to freeze. In places at more extreme latitudes, the growing season is less warm overall and the grapes ripen much more slowly so that by the time it gets cold enough to cause grapes to freeze, these grapes are closer to being ripe and have maintained much more of their acidity than their counterparts in warmer parts of the world. Today's wine is from the Niagara Peninsula of Canada, which is just over the border from Buffalo, NY. This is southern by Canadian standards and the climate here is moderated a bit by Lake Erie and Lake Ontario which border it to the south and north respectively, so while it's warmer than say the Yukon territory, it's still pretty cool by wine-growing region standards. There is table wine production here, mostly from Chardonnay and Pinot Noir, but the region's best known export is probably their ice wines. Most ice wines are made from high-acid white grapes like Riesling or Vidal Blanc, but there are some red ice wines made as well. I have occasionally come across some ice wines made from Cabernet Franc, but I had never seen one made from Cabernet Sauvignon grapes until this one. The wine I tried was a 200 mL bottle of the 2006 Lakeview Cellars Cabernet Sauvignon ice wine. I received this as a gift from a family member who was in Canada a few months back (retail on this website is around $11). In the glass this wine was a fairly light tawny color that had a kind of purple-brown hue to it. The nose was moderately intense and fruity with aromas of strawberry jam, figs, raisins and dried strawberries. On the palate the wine was medium bodied with very high acidity. It was very sweet with flavors of freeze-dried strawberries, black raspberries, tart cherries, and raisins. It was light and berryish overall with a lot of red fruits and dried fruits. It was bright and zippy, which is an excellent quality in a wine this sweet, as it provided a very nice kind of balance. I would imagine that these icewines are the winery's "Plan B" for those years where the growing season isn't warm enough to ripen these Cabernet grapes completely. It's definitely a side of this grape that you don't get to see that often, and I found it very interesting and enjoyable. I just spent my entire afternoon writing a post about a wine I recently tried, and right at the very end, I discovered that the grape in the wine wasn't what I had originally thought. It's ultimately OK because the grape turns out to be Kanzler, which is also pretty unusual, but it means that the several hours of work I put into the original post is now kind of useless. The confusion all started because the name of the wine that I tried was "The Chancellor," which both I and the shop that I bought the wine from thought was a reference to the Chancellor grape, which was going to be the subject of today's post, but will instead have to be relegated to a future post since the angle that I was trying to work was dependent on this particular wine being made from that grape. See, Chancellor is a red berried grape, while this particular wine is white. I remember this giving me pause while in the store, but since I've had several other white wines made from red grapes (specifically Cabernet Franc and Tempranillo), I shrugged it off. The piece I was writing was all about the fact that the two wines that I had from this grape were made in extremely different styles, since the other Chancellor based wine that I had was a fortified, red, port-style wine. I thought it was really cool that a single variety could be responsible for such different wines and I wrote and thought about it at some length. As I was approaching the end of the piece, though, another nagging doubt that I had at the store began to surface again. Today's wine is made in Germany and the Chancellor grape is a hybrid. It has always been my understanding that the EU does not allow hybrid grapes to be used in the production of quality wines (meaning essentially wines above the level of "table wine" in all its various guises throughout the different countries). I was never able to find specific legislation on this, but it's because the law isn't written negatively, meaning that it doesn't specifically ban wines made from hybrid grapes, but rather only allows for wines made from vinifera grapes*. The Oxford Companion to Wine points out that there are a few exceptions for vines like Rondo, Regent, Phoenix and Orion, though, so I wasn't totally sure what the situation was with the Chancellor grape. I decided to try to see whether the winery's website could clarify the situation, but it didn't look like the winery actually had a website. Google searches were coming up empty until I finally found this page from what I believe is one of the distributors in the US. On that page, whoever the author is indicates that they tasted this wine at the estate, where it was called Trivini, or "three grapes." Since there were apparently other wines available in the US with similar names, the winery was persuaded to rename this one "The Chancellor," after the grape that comprises the bulk of it, Kanzler (the other two grapes are Riesling and Kerner). So rather than a post about Chancellor, you're getting a post about the Kanzler grape and how I became aware of its existence just a few hours ago. 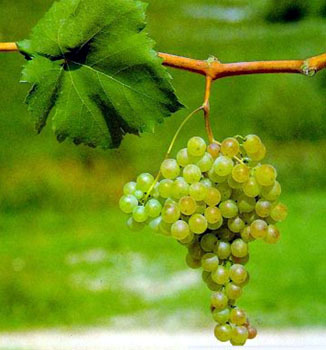 The grape itself is a German crossing that was bred at one of their research stations in a town called Alzey in 1927. Its parents, like an awful lot of other German crossings, are Müller Thurgau and Sylvaner. It was once somewhat popular among growers because of the high must weights that it was able to generate, which is a big deal since must weight determines the quality level of German wines. The theory is that riper grapes have more sugar and are thus heavier than less ripe grapes, and since the Germans believe that riper grapes equal better wines, the heavier the musts, the higher your quality rating. The biggest problem Kanzler had, though, was that it was a poor yielder, so while it gave with one hand, it took away with the other, and ultimately fell out of favor with those growers who were looking for a cash crop. It is grown sparingly only in Germany (as far as I know) and almost exclusively in the Rheinhessen region. Which brings us to today's wine, the 2009 Schäfer "The Chancellor," which I picked up from my friends at Curtis Liquors for about $11. In the glass this wine was a medium silvery lemon color with greenish tints. The nose was moderately aromatic with green apple and pear and a hint of grapey-ness. On the palate the wine was medium bodied with fairly high acidity. There were flavors of green apple and apple candy along with some pineapple and lime. The wine was dry with a touch of something bitter on the finish. The fruit flavors were bright and tart and overall I found this wine pretty enjoyable. It had a bit of muscat-like grapey-ness throughout the nose and the palate that I found very appealing. Fans of aromatic white wines with nice acidity will find a lot to like here. It's been awhile since we visited the isolated and unique island of Sardinia in Italy. A little over a year ago we took a look at the Monica grape grown there and took a brief look at Sardinian wine in general. I mention in that post that Sardinia is home to a handful of unique varieties, which should make it fertile ground for me, but it can be difficult to find wines made from these grapes. Part of it is just low production. Though Sardinia is the second largest island in the entire Mediterranean, it only ranks 15th among Italian regions in terms of total wine production. Further, a lot of the wines that end up on US shores are made from some of the less unique grapes grown on the island, like Carignan or Cannonau, which is just the local clone of Grenache. I do occasionally come across something interesting, though, and today's post is focused on one of those finds. Before we can talk about Torbato, we need to talk a little bit about the history of Sardina. Sardinia is currently a part of Italy, but that hasn't always been the case. While the occupational and political history of Sardinia is long and complex, there is one era of Sardinia's history that seems to have more viticultural importance than any other. In the 15th Century, the Kingdom of Aragon, which was located in what is now southeastern Spain, successfully conquered Sardinia and brought it under rule. In 1479, King Ferdinand II of Aragon married Isabel of Castile, who was Queen of the Kingdom of Castile and León. This marriage essentially unified the various Kingdoms of Spain into a single political entity under a common monarch. This meant that Sardinia was now a part of Spain, and it remained a Spanish territory until 1708, when it passed into Austrian hands. It pinballed between various European powers until 1861, when it joined the newly formed Kingdom of Italy. It is thought that many of the grapes currently grown on Sardinia were brought to the island at various times throughout Spanish rule. 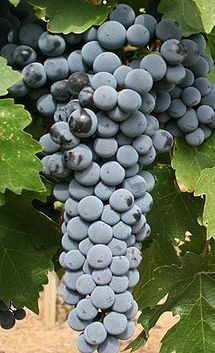 Grenache and Carignan are both thought to be ultimately Spanish in origin, as is the Monica grape we examined previously. Torbato is thought to share this same kind of geographical heritage, though the evidence for this seems to be mostly anecdotal rather than scientific. I've not been able to find any studies linking Torbato to any Spanish grapes either directly or familially and most sources qualify their statements of Spanish origin with words like "purportedly" or "supposedly." The grape does have a link to the European mainland, though, as it was once grown widely in the Roussillon region of southern France under the name Tourbat or Malvoisie de Roussillon (though it is not related to any of the other members of the Malvasia family as far as I know). The theory of a Spanish origin for Torbato seems to rest on the fact that Roussillon was also under the rule of the Kingdom of Aragon for awhile and so the grape (along with Grenache, Carignan, Monica and others) must have been disseminated to both Sardinia and Roussillon from Aragon itself at some point. Tourbat has been virtually eliminated from the vineyards of France today and it looked like Torbato was destined to meet the same fate a few decades back. The problem didn't seem to be quality, but rather than the vine had some unusual characteristics that made it troublesome to maintain. The primary problem was that the stems on the vine aren't very strong, so as the grapes ripened and got bigger and heavier, they had a tendency to fall right off the plant. If the grapes fell off before they were fully ripe, then they weren't much use to the growers. If the growers weren't able to retrieve the grapes from the ground soon enough, then the grapes rotted and were a total waste. Further, the grapes themselves have a lot of fibrous material within the pulp which limits the amount of juice you can get from each berry. This means that the juice yields from each vine are lower than for other vines. The low yields coupled with the viticultural demands were too much for most producers and the grape headed slowly for extinction until Sardinian producer Sella & Mosca stepped in. Recognizing that the grape was in trouble, the winery made a concerted effort to not only save their old vine plantings of Torbato but also to buttress them with new plantings. They claim to be the only winery on earth growing Torbato and making wines from it, and they might be right. Sella & Mosca's origin story for Torbato has it that it is ultimately from "the Aegean," which I'm assuming means Greece, and that it was taken from there to the coast of southern Spain by the Phoenicians before being taken from Spain to Sardinia by the Spanish a few hundred years down the line. They seem to be the only ones making a claim for an ultimate Greek origin for Torbato, and they do so without giving any kind of evidence, so I'm going to take it with a fairly substantial grain of salt. Sella & Mosca's vineyards are within the Algehro DOC which is located around the town of Alghero in the northwest corner of Sardinia. The Alghero DOC allows a variety of different grapes, including Torbato, and merely stipulates that any wine labeled varietally must contain at least 85% of the stated variety. Sella & Mosca offers a handful of different Torbato wines, including a sparkling Torbato, but the one that I was able to find was the 100% Torbato "Terre Bianche," which is named for the white limestone soil that the grape is planted on. I picked up a bottle of the 2009 "Terre Bianche" from my friends at Brookline Liquor Mart for about $22. In the glass the wine was a fairly deep lemon gold color. The nose was reserved with aromas of red apples, pear and pineapple fruit along with something a bit nutty and a trace of vanilla (about 30% of the juice is aged in older oak barrels for four months). Some people say that Torbato has a characteristic smoky aroma and flavor, but I didn't really get any of that. On the palate the wine was medium bodied with fairly high acidity. There were flavors of lemon, green apple, ripe apple and pear fruit with a hint of toasted almonds and a chalky finish. Overall it was tart and zippy with just a hint of oak to it, but not much. It was a nice wine, but is difficult to justify at over $20 a bottle. Rarity has its price, I suppose. Today marks Fringe Wine's second foray into the land of Turkey. Our first visit was concerned with a red grape called Öküzgözü, but today we'll be looking at a white grape called Emir. Those interested in learning more about the Turkish wine industry and its history are advised to click on the link above, as I covered quite a bit of that in my prior post and will try to cover mostly new ground in today's post. Turkey ranks fourth in the world in acreage devoted to the vine and ranks sixth in terms of grape tonnage harvested, but is virtually nowhere to be found on the lists of top wine producing countries. The reason is that most of the grapes grown in Turkey are either used as table grapes or are dried and made into raisins. The Sultana grape, which is known in the United States as the Thompson Seedless, is widely cultivated in Turkey and is used predominately as a table grape or as a raisin grape, though it does occasionally find its way into some of the wines (today's wine, for example, does have a bit of Sultana in it). Sultana is actually a Vitis vinifera vine and is but one of an estimated 600-1200 native vinifera vines that are found throughout Turkey, though only about sixty of them are cultivated commercially (and those mostly for use as a table grape or for raisins). As mentioned in my previous post, most of the reason for this is cultural, as Turkey was ruled by the Muslim Ottoman Empire for centuries. Islam forbids the consumption of alcohol and since the Ottomans enforced religious strictures legally, it was essentially against the law to drink alcohol for a very long time. The Ottoman Empire was dissolved about 100 years ago, but the country's current population is still predominately Muslim and though the modern government is more tolerant and does not prohibit either the production or consumption of alcohol by its citizens, the religious prohibition still means that most Turks don't drinkl. One of the necessary components for a strong wine industry is a local population who drinks wine, and since this isn't the case in Turkey, the wine industry has never really taken off there. While it has been growing and improving significantly over the past few decades, most of the wine produced there is still intended either for export or for tourists. There are wineries in Turkey, though, and one of the largest is Kavaklidere. Cenap And founded the Kavaklidere winery in 1929, and the company's website claims that they were the first private sector wine producer in Turkey. They specify "private sector" because the dominant force in Turkish wine was (and still is) a group called Tekel, which was owned and operated by the Turkish government for decades but which was bought out by private investors in 2004. Kavaklidere owns 562 hectares of vines throughout Turkey and offers a dizzying array of different bottlings from a mixture of native Turkish grapes and French varieties. Today's wine is from their Classic selection and is made primarily from the Emir grape, though there is also a touch of Narince (another native Turkish grape that is occasionally made into varietal wines) and Sultana as well. The grape's name comes from the Arabic word "Emir," which means "Prince" or "Ruler," because of how popular the grape was at the tables of the rich and powerful. It has been known and grown since Roman times, and when it is used to make wine, the results are typically light, crisp, and best enjoyed young. Emir is grown most widely in the Central Anatolia region of Turkey, which is located right in the middle of the country, and today's grape is from the Nevşehir province of Central Anatolia, which is right in the middle of that region. Many vineyards here are at elevations up to 4000 feet above sea level and the winters can be brutally cold. The climate is extreme at both ends, though, as there is abundant sunshine here during the summers with scorchingly hot high temperatures to boot. I was able to find a bottle of the 2009 Kavaklidere "Çankaya" Emir de Nevşehir from my friends at Bin Ends for about $12. In the glass the wine was a pale silvery lemon color. The nose was intense with lime, pineapple and melon fruit along with a touch of honeysuckle and lemon peel. On the palate the wine was on the lighter side of medium with fairly high acidity. There were subdued flavors of lemon-lime citrus, white pear and pineapple fruit with a touch of honeysuckle flower. Right out of the bottle this wine was somewhat Riesling-ish with nice, ripe, round fruit flavors and killer acidity, but as it opened and warmed up a bit, the flavor profile shifted over to Sauvignon Blanc, with more grapefruit and a kind of grassy herbaceousness that gets more prevalent as the wine opens. I thought this wine was a very nice value at only $12 and is definitely the kind of thing that I would drink again, especially with raw seafood or poached white fish. 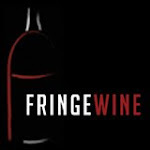 Today marks Fringe Wine's first foray into the Great White North, better known to most as the nation of Canada. While Canada's wine making history can be traced back to the early 19th century, finding wines from Canada that aren't ice wines can be a difficult task, even here in Massachusetts which is only a few hours from the Canadian border. Canadian wines are apparently somewhat tough to find even in Canada, as they hold less than a 50% market share of all wines sold within Canada (meaning that over half of all wines in Canada are from somewhere else in the world, which is a rare feat among wine-producing nations). I was able to find today's wine, made from Baco Noir grapes, in a shop in the Boston area, but before telling you about that wine and the Baco Noir grape, I'd like to talk a little bit about the history of the Canadian wine industry. Much of the vineyard land in Canada is located in the southern part of the country, typically around large bodies of water that help to moderate drastic temperature shifts and which can also soften the edges of a harsh winter. Somewhat surprisingly, most Canadian vineyards are located at a latitude similar to that of Languedoc in southern France or Chianti in Italy. Furthermore, in some of Canada's wine growing regions, the summer temperatures are higher on the average than those in Bordeaux or Burgundy. While these facts may seem to add up to a warm growing region, the fact of the matter is that because the summers are so much shorter and because the winters are so much harsher, Canada's vineyards cannot support the same warm weather grapes as their latitudinal counterparts across the pond. The first cultivated vineyard in Canada was a 20 acre plot devoted to local labrusca vines. From about 1811 through 1916, most of the vineyards in Canada were planted either to various native vine species or to cold-hardy hybrids. 1916 could have sounded a catastrophic death-knell to Canada's young and scattered wine industry as the Canadian government enacted their own form of prohibition, four years before the United States would do the same. Curiously, grape growers in Canada were able to lobby that wine be excluded from the general prohibition on alcohol, so rather than suffer the profound setbacks that the United States wine industry endured as a result of this legislation, the Canadian wine industry was able to flourish and expand. Canadian prohibition was repealed in 1927 (six years before the 21st amendment repealing prohibition was passed in the US), and in the eleven year span of its existence, nearly 60 winery licenses were granted just in the province of Ontario. The ending of prohibition in Canada was damnation in disguise, though, as at around the same time prohibition was repealed, the Canadian government enacted legislation that created large government controlled monopolies within each province which were responsible for the sale and distribution of all alcoholic beverages. A freeze was also put on granting winery licenses, and no licenses were given for new wineries from 1927 until 1974, when the Inniskillin winery was given its commercial license. During this 50 year span, though, the wine industry was essentially handcuffed, as expansion and experimentation were very difficult, if not impossible, within the confines of this system. Most of the wines produced were sweet and foxy and quite a few of them were fortified to boot, while most of the vineyards were still planted to native grape varieties and hybrids. A series of events around 1988 led to the establishment of what might be called the modern Canadian winemaking industry. The first was the enactment of a free trade agreement with the United States in 1987 which removed many trade restrictions between these two nations and allowed for greater movement of consumer goods between them. The second was the creation of the Vintners Quality Alliance (VQA), which established the framework for an appellation system in Canada as well as minimum quality standards for wines that would carry the VQA seal (this exists only in Ontario and British Columbia with subtle differences in each locale). The final act was the initiation of a vine-pull program that had the Canadian government partially subsidizing and incentivizing growers to pull up their native vine species and hybrids and replace them with higher quality vines. While this has certainly led to an increase in the plantings of European vinifera vines, there are still a lot of native and hybrid species, especially in some of the more climactically extreme regions of the country (though labrusca species are specifically banned from inclusion in any VQA wines, no such ban exists on hybrids or on wines produced outside the purview of the VQA). One of the more popular and well regarded of the hybrid vines in Canada is Baco Noir. 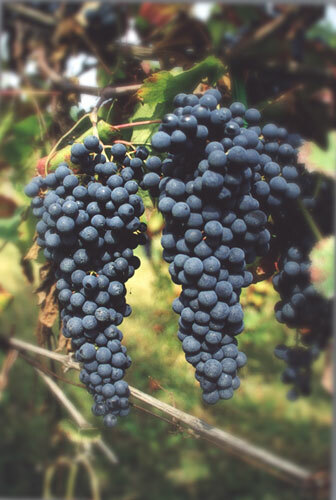 Baco Noir was created by a Frenchman named François Baco either in the 1890's or early 1900's. Baco was one of the great French hybridizers (like Albert Seidel, Johannes Seyve or Pierre Landot) who was active around the turn of the 20th Century. Baco's crowning achievement was actually a grape called Baco Blanc, which was used primarily as the base for Armagnac until the 1970's. 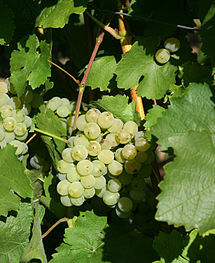 Folle Blanche had been the primary Armagnac grape until phylloxera came along and decimated the plantings in this area. 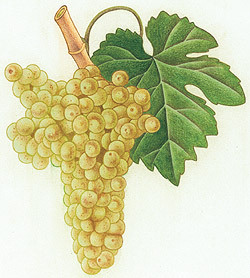 Folle Blanche didn't take well to the phylloxera cure of grafting onto American rootstocks, and so Baco Blanc, a crossing of Folle Blanche and a native American grape called Noah, became the preferred variety in the area. It has since been supplanted by Ugni Blanc, but there are still over 5,000 acres planted to it in the area, though that number is decreasing rapidly. Baco Noir is also an offspring of Folle Blanche, but its other parent is an unknown Vitis riparia vine. It was itself once widely planted in some areas of France, but is hardly found there anymore. It was introduced into the United States in 1951 and in Canada a few years later in 1955. It is relatively widespread throughout the midwestern, northeastern and mid-Atlantic regions of the US as well as in eastern Canada. It is fairly cold hardy, though it does have a relatively early bud-break which can be a problem in areas that are prone to late spring frosts. It does have a problem with vigor and needs to be aggressively pruned on light, fertile soils, but is typically fine on heavier, poorer soils. It is a fairly low yielder that is susceptible to a few different fungal diseases and is apparently very attractive to birds. I was able to find a bottle of the 2005 Henry of Pelham Baco Noir from Ontario for about $18 from my friends at Curtis Liquors. In the glass the wine was a fairly deep brickish garnet color with a brick red rim. The nose was intense with spicy black plum and black cherry fruit along with some baking spice, bitter chocolate and cocoa powder. On the palate the wine was full bodied with fairly high acidity and medium tannins. There were flavors of cocoa, black plum, black cherry, dried cherry, baking spice and black pepper, with a hint of tart cherry popping up on the finish. This wine was much deeper and richer than some of the other red hybrids I've reviewed (like Chambourcin, St Croix, Vincent, Marechal Foch and Landot Noir), but it did still have that tart red berry fruit at its core. It is a tasty wine and represents a pretty good value at less than $20 a bottle. I would definitely recommend grabbing a bottle if you run across it and serving it with a richly marbled grilled steak. When I went to put the name of today's grape into a Google image search, I expected to get a lot of results that weren't related to the grape itself. Growing up in the 1990's, I watched a lot of MTV Sports and was mostly expecting to see photos of the host of that show, Dan Cortese. I was surprised to see that Dan had only two results on the first page, but was even more surprised to see that one entry on the first page of results was actually for the Cortese grape. The rest of the results were split between someone named Genevieve Cortese, who I take it is some kind of an actress, and someone named Deena Cortese, who I take it is on Jersey Shore. All of which is to say that now I feel kind of old, since it looks like MTV sports has been off the air for over 15 years now and I have never even heard of the two women who return the most results. But we're not here to talk about people named Cortese, we're here to talk about the Cortese grape, which has been around for much longer than any of the people mentioned above. The first mention of Cortese can be traced back to 1659 when an Italian estate manager wrote to tell the Marchese Doria about some recent plantings of Cortese and Vermentino grapes in the family's vineyards in southeastern Piemonte. The grape really hasn't strayed very far from this region in the last four hundred or so years, as most of the current plantings of Cortese are concentrated in the Colli Tortonesi, Cortese dell'Alta Monferrato, Monferrato Casalese and Gavi regions of Piemonte, which are all clustered in the southeastern portion of that region. A little bit is grown just over the border in Lombardia and some finds its way as far east as Lake Garda in the Veneto, but the majority of the 1500 or so hectares devoted to Cortese in Italy are in southeastern Piemonte. Gavi is far and away the most famous region for Cortese and is frequently cited as being the place where Cortese really reaches its greatest heights. Cortese seems to have some trouble getting fully ripe in some of the other sites in Piemonte, which can be a serious problem as it can be searingly acidic if not fully ripe, but it rarely has that same problem around Gavi. Gavi is a small town in the Alessandria province of Piemonte, about 100 km southeast of Turin. The name Gavi is thought to come from a princess in the early Middle Ages named either Gavia or Gavina who had a castle in the area. The Gavi DOCG region is an area of about 1100 hectares surrounding the town itself, and any wines from this area labeled Gavi or Cortese di Gavi must be made from 100% Cortese grapes. If you see the phrase "Gavi di Gavi" on a label, it just means that the wine was made in the town of Gavi itself and is no guarantee of a higher quality wine. Gavi's reputation among critics rarely seems to match the prices that most wines from there tend to command. In his Barolo to Valpolicella, Nicolas Belfrage notes that Gavi's reputation for producing one of the finest whites in Italy is "not fully justified, according to some." He goes on to say "that it has been one of the most hyped is beyond dispute, and when it's good - full enough of body to match the acidity, with a twist of lime cordial on the nose and finish - it can, in the right context, be just the thing," which is an absolute clinic in damning with faint praise. The Oxford Companion to Wine's entry on Cortese says that "at its best, the wine is clean and fresh," and, generally, that "the use of oak is usually misguided." In their entry on Gavi they say that "with care in the vineyard and cellars, the delicate flavours of the Cortese grape, retained thanks to the moderating maritime influence due to its proximity to the Ligurian coast less than 70 km/40 miles way, can yield pleasurable wines that are easy to drink," which, again, is hardly a ringing endorsement. Never one to take critics at their word, I hunted down a bottle of the 2009 Villa Sparina Gavi, which set me back about $22. Nicolas Belfrage notes in his Barolo to Valpolicella that many believe that Gavi doesn't show it's true character until after at least two years in the bottle, though since most of it is drunk very young, that theory is rarely put to the test. This bottle had three years on it when I finally pulled the cork, so let's see how it was. In the glass the wine was a pale silvery lemon color. The nose was muted with some pear fruit and a bit of leesy funk, but not much. On the palate the wine was on the lighter side of medium with medium acidity. There were some pear, green apple and lemon fruits with a hint of cheese, like Parmigiano-Reggiano. The wine finished with an intense steely minerality that was probably the most pleasurable thing about it. The wine was crisp and clean, but not much else and I found myself getting bored with it fairly quickly. The word "bland" pops up several times in my tasting notes. I can't say that I've had dozens of wines made from Cortese, but the ones I have had haven't been much different than this one. They're aren't objectionable in any way, but they're not exactly pleasant or appealing either. Considering that you're looking at an investment of at least $15, and typically more than $20, it's a hard wine to recommend. I was recently able to track down a wine made from the Cortese grape that is not only made utside of the confines of Gavi, but outside of Italy altogether. The wine was the 2005 Lost Valley Winery Cortese from Central Victoria, Australia. My understanding is that this is the only planting of Cortese in all of Australia, and for this vintage (2005), only 7000 bottles were produced. I found this at Brookline Liquor Mart and paid about $14 for it. In the glass the wine was a pale lemon color with a very distinct greenish tint to it. The nose was fairly intense with melon, pear, passion fruit and mandarin orange aromas with a touch of beeswax as well. There was something bizarrely distinctive about it that I couldn't quite nail down. On the palate the wine was medium bodied with fairly high acidity. There were flavors of green melon, mango, passion fruit, lime, beeswax, honeysuckle flower and mandarin oranges. There was also something slightly vegetal or herbaceous about it, but it kind of tasted and smelled stewed, like baby food or something like that. It certainly had a unique flavor profile, but I'd be hard pressed to call it enjoyable, exactly. It's hard to say how much of this bizarre character was due to the wine's age, but given that it was almost seven years old, I thought it was holding together pretty nicely. Hello friends and neighbors, and welcome to the third installment of Free Wine Friday, where I write about interesting wines I've received as samples. Today we'll be taking a look at two Spanish wines made from Tempranillo and Petit Verdot grapes. While Tempranillo is obviously anything but a Fringe Wine grape, the wine we'll be looking at below is made in a very unique style. Before we get there, though, I'd like to say a few words about how I got my hands on these wines. A few months back, I was visiting Terra Vino, which is a really cool wine shop run by my friend Chris over in Brookline, MA. While I was there, a distributor happened to drop by to pour some samples for Chris and he invited me over to taste a few of these wines with him. Most of the wines that the distributor was pouring were these really interesting biodynamic California wines from an estate called Ambyth (whose Marsanne I'll be writing about next week). I enjoyed these wines quite a bit but hadn't heard of them before or seen them anywhere else in Massachusetts, so I pressed the saleswoman for more information about which distribution company she worked for. It turned out that she had just started her own distribution firm after working on the retail end of the wine trade for many years and was in the very early stages of getting her company up and running. The woman's named was Monica Jenkins and her company is called MBJ Wine Group. They're a fairly small operation now, but Monica is looking to bring some new and interesting wines into the state of Massachusetts, which is a goal I can certainly get behind. We spoke for a while at Terra Vino and it turned out that Monica was looking for some editorial help with her blog and website, which I have been happy to provide. I do receive compensation from MBJ for my services, so there is a financial relationship in place, but in the confines of my own site, I always try to stay as objective as I can about the wines that I try, no matter where they come from or under what circumstances. I visited Monica's warehouse a few weeks ago because she had some interesting wines come in that she wanted me to try with her. A winery in Spain called Pagodel Vicario, located in the Castilla-La Mancha region, had sent her several sample bottles for their entire line of wines, but two of them in particular stuck out to me (both were from the 2011 vintage). The first was called Blanco de Tempranillo and when Monica first told me about it, I got really excited. I have been trying to track down a wine made from Tempranillo Blanco, which is a white-berried mutation of the Tempranillo grape, for several months now, with no luck. I was hoping that I might finally be able to try a wine made from this grape, but as soon as I saw the label, I knew it was not to be. The label says "Vino blanco de uva tinta," which means something like "white wine made from red grapes." Rather than the white-berried mutation, this was more like a blanc de noir, where the red-berried grapes are pressed lightly with as little skin contact as possible in order to collect only the white juice for fermentation, which is the same processed used to make this Blanc de Franc wine previously featured on this site. Despite my initial disappointment, I was still eager to try this wine since I'd never seen Tempranillo vinified this way before. The winery's website says that they picked the grapes for this wine on August 11, which is incredibly early, in order to retain freshness and acidity. The wine is vinified and aged in temperature controlled stainless steel prior to bottling. In the glass the wine was a silvery color with a slight pinkish tinge. It's hard to tell from the winery's site whether the grapes were crushed then pressed or just pressed whole, but whichever the case there was just a bit of pigmentation that found its way into this wine. On the nose the wine was fairly intense with apple, strawberry and cherry fruit aromas. If I was smelling this blindfolded, I probably would have guessed that it was a rosé wine rather than a white. On the palate the wine was on the fuller side of medium with medium acidity. There were flavors of creamy ripe pear, strawberry and tart cherries. Everything about this was screaming rosé to me except for the color of the wine in the glass. This is a really cool wine with some pretty unique characteristics, even if it isn't necessarily all that complex. I'm not sure what the retail price for something like this is, but if you're interested, feel free to email Monica at info@mbjwine.com. The second wine that I tried was a rosé wine made from Petit Verdot grapes. We've explored Spanish Petit Verdot around here before, so interested readers are advised to read this post for more information about the grape itself. Every Petit Verdot based wine that I've ever tried has been inky black due to the grape's thick skins and small berry size, so I was very curious to see what a rosé wine made from 100% Petit Verdot would be like. The winery's website indicates that the juice was left in contact with the skins for only 8 hours in making this wine, but the result is one of the most intensely colored rosé wines that I've ever seen. In the glass this wine was a medium purple ruby color with a bright magenta rim. The intensity of the color was shocking as I know I've had red wines that weren't this deep (like wines made from Schiava or even some Pinot Noir). The nose was intense with waxy cherry and raspberry fruit along with a touch of licorice and rose petal. On the palate the wine was on the fuller side of medium with fairly high acidity. There was a bit of tannic grip to the wine as well, despite the brief skin contact time. There were bright, electric flavors of red berry fruit and waxy candied cherries. It wasn't complex, but it was intense and powerful. This is the biggest, most insane rosé wine I've ever tasted. It clocks in at 15% abv and in all honesty should probably be considered a red wine for food-matching purposes. It is much friendlier and more approachable than a varietal red wine made from Petit Verdot grapes, as it doesn't have the tight, tough, intense tannins that those wines carry along for their first decade or so in bottle, but it is definitely not the kind of light, crisp, refreshing wine that most people are looking for when buying a rosé. Drinking this is definitely a unique experience, so if you're interested, feel free to email Monica at info@mbjwines.com for more information. One of my favorite posts from the early days of this site is this one about the Bonarda grape from Argentina. I remember being fascinated by the confusion surrounding the grape and having a blast trying to sort through and write about it. This was before I had discovered the wealth of literature about DNA analysis and grape varieties, but the roots of that interest and a lot of the subsequent research I've done for the posts on this blog can be traced back to that piece. I bring that post up because today's grape, Croatina, is also known as Bonarda in some regions of Italy. We've taken a look at Croatina before here on this site, as it is an important component of a wine called Sangue di Giuda from Lombardia, Italy. It is found primarily in northwestern Italy, in Piemonte and Lombardia, and is one of three different grapes in Italy that goes by the name of Bonarda. In Piemonte, what is called Bonarda is typically either Uva Rara or Bonarda Piemontese. When you're in the Oltrepò Pavese region of Lombardia in Italy, Bonarda refers to Croatina. Today's wine is actually from Piemonte, and so the wine is labeled as Croatina rather than Bonarda, since Bonarda refers either to Uva Rara or Bonarda Piemontese here. Argentine Bonarda is, of course, none other than the Charbono of California, which is known as Corbeau in France (see citation 1 below for further reading). Interestingly enough, none of the grapes that are known as Bonarda are related to one another. The name of the grape might make you think that it has something to do with the nation of Croatia, and you might be right, though just what that link might be is unclear. Some believe that the grape came into Italy via Croatia and picked up its name in the same way that Greco or Grechetto picked up their names from Greece. For awhile, Croatina was thought to be the same grape as Croatia's Hrvatica, since Hrvatica means "Croatian girl" in the Croatian language while Croatina means something like "Croatian girl" in Italian, but DNA studies have shown that these two grapes are not related to one another. As far as I know, Croatina has not been shown to be identical to any grape currently grown in Croatia and I haven't found any studies that link its pedigree to any grape in Croatia either. It is somewhat unusual to find a varietal Croatina labeled as such, but I was able to find a bottle in a local shop for about $25. The wine was the 2006 Vignetti Massi "Pertichetta" Croatina from the Colli Tortonesi region of Piemonte. In the glass the wine was a deep purple ruby color. The nose was fairly intense with wild berry fruit aromas like blackberry, black cherry and blackcurrant along with some leather, smoke, black tea leaves and underbrush. On the palate the wine was on the fuller side of medium with fairly high acidity and big, grippy tannins. There were flavors of wild blackberry, black cherry, smoke, charcoal, old leather and blackcurrant. This wine was big, brambly and wild with dark, dense, powerful flavors. Croatina is typically a blending grape but if this bottle is any indication, it is a grape that deserves more attention as a varietal wine. The flavors were rich and deep, but the wine was still very well balanced and had enough structure to endure even more bottle age than the six years this bottle already had on it. This is a phenomenal wine for the money and is something I would not hesitate to buy again if I ran across it. Some grapes are fairly easy to write about and some are much more difficult. At the moment, I have five different browser windows open with 20 tabs open between them as well as a handful of PDF files littering my taskbar. All of these windows are open because I was trying to find the answer to one single question: is Tintilla de Rota the same grape as Graciano? After several hours of digging and reading (and some money shelled out for access to specific articles), I think that I may have found an answer, but before I tell you what it is, I'm going to take you on the journey with me to give you a sense of how confusing this stuff can be, and how, despite the claims of many that this kind of technology will eventually rid us of a lot of unnecessary confusion, a lot of confusion still exists. As in many other posts (see Turbiana and Hondarrabi Zuri, among others), my journey began with with The Oxford Companion to Wine, whose online version automatically redirects you to the entry on Graciano when you try to search for Tintilla de Rota. Within the entry for Graciano the writers state "it has also been certified through DNA profiling that the Tintilla de Rota grape of Jerez and Bovale Sardo on Sardegna are both Graciano." Since I've found mistakes in the Oxford Companion in the past regarding these kinds of issues, I set about trying to find the articles that would corroborate their account. The first article that I found was about the Tintilia grape from the Molise region of Italy (citation 1 below). 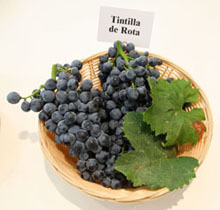 In this article, the researchers analyzed several different examples of the Tintilia grape to see if it had any relationship to Tintilla de Rota (which they equate with Graciano with no discussion), Aglianico, a grape called Tintilia from Sardinia, several different grapes called Bovale Sardo or Bovale Grande and Monastrell, among others. This team found no relationship between any of the grapes listed above and were able to establish that each was a separate cultivar. In 2007, another Italian team (citation 2 below) analyzed the Bovale family of grapes on Sardinia and their research found that Bovale Sardo was identical to Graciano and another grape called Cagnulari. Who do we believe? The first study above was published in a peer reviewed journal, while the second was presented at a conference and published in the proceedings, so I'd be inclined to lean towards the former, but the OCW seems to lean more towards the latter. Whatever the relationship is between Graciano and Bovale Sardo, what I was really interested in was the relationship between Graciano and Tintilla de Rota. Searching for that link, I came across this site (in Spanish) which seems to refer to a study that linked not only Graciano and Tintilla de Rota, but also a grape called Parraleta from the Somontano region of Spain. When I tried to track this article down, I came across another article (citation 3 below) from a Spanish research group (one of whom was supposedly in the research group in the study that I was actually trying to find) whose final sentence reads: "Results of this work confirm the trueness-to-type of 'Parraleta' accessions studied and also that this variety is not a synonymy of 'Graciano' cultivar." None of this was really getting me that much closer to answer the question that I started with, but it was starting to make me wonder. I understand that scientific discovery is a process, but it's really difficult to get a feel for what's going on just by following the literature. For one thing, the literature is really spread out. I've had to look in about a dozen different journals to find some of these articles and have had to consult a few different academic search engines. For another thing, much of the literature is contradictory and there's rarely a third article published that definitively settles the score between two previously published papers that are at odds with one another. Since most of these grapes are pretty obscure there isn't exactly a continuing dialogue about them, and once a team has published their results, they seem to move on to the next project and not really engage with any contradictory studies. By far the biggest problem, and the one that I think poses a serious danger to the credibility of the whole enterprise, is the way in which the researchers gather samples. I mention in my post on Hondarrabi Zuri that the root of that confusion was a mislabeled plant in a university collection. This problem is apparently somewhat widespread, as it shows up in the papers above more often that I feel comfortable with. In one of the studies (citation 1), the research team took several samples of each plant to verify that each was identical and that their test was working correctly. They took two samples of Bovale Sardo and two of Bovale Grande, but each of these samples came back with different DNA profiles, indicating that they were actually different plants (the methodology wasn't flawed as they took 21 different samples of Tinitilia from Molise and all 21 came back the same). Another study (citation 4 below), which was an update to citation 2, indicates that one of the samples they tested that was labeled Graciano actually turned out to be Trepat, while one of the samples labeled Parraleta turned out to be Mandón. In case you've forgotten during that extended digression, the question that I was ultimately trying to answer was whether Graciano and Tintilla de Rota were the same grape. After a great deal of searching, I believe I finally found the paper that everyone is referencing (citation 5 below). This study was done by a Spanish team on a wide variety of Spanish grapes, and their paper reads "microsatellite analysis alone established 'Graciano' (D.O.Ca. Rioja), 'Parraleta' (D.O. Somontano) and 'Tintilla de Rota' (variety traditionally cultivated in Jerez) as the same genotype." That's the only reference I've been able to find in the literature and I've found nothing anywhere else to contradict it, other than the fact that Parraleta and Graciano may actually not be identical after all. Nearly every secondary source is unanimous in their agreement that Graciano is Tintilla de Rota, and without any evidence to the contrary, it looks like we have to agree. Tintilla de Rota is used in both table wine and fortified wine production around the Sherry region of Spain. Rota is the name of a town in the Sherry region whose sandy soils are particularly well suited to the cultivation of the Tintilla grape. It has been known in this region since the 1500's, but was pushed to the brink of extinction in the 1950's as an American military base was constructed where many Tintilla vines were once planted. The wine that I was able to find was the fortified version from Emilio Lustau, which I picked up my friends at the Spirited Gourmet for about $45 (I believe Curtis Liquors carries this as well). To make this wine, the grapes are picked and then left out in the sun for two or three weeks to dry out. They are then placed in tubs and covered with mats to minimize the amount of air contact. They're left in the tubs for about a month and periodically stirred before being pressed. The wine is fortified to about 17% (mine was 17.5%) and then aged for awhile in casks before being bottled. In the glass this wine was an inky jet black color with a brownish-purple rime. The nose was moderately intense with licorice, raisins, prunes, figs and toasted nuts. The overall character was of dark, dried fruits. On the palate the wine was on the fuller side of medium with fairly high acidity. It was sweet and syrupy with flavors of raisin, prune and toasted nuts. It was very dark and little smoky. It was richly sweet but well balanced and carried its alcohol well. It tasted kind of like a ruby port spiked with a little Pedro Ximenez Sherry. It's comparable to other fortified wines in terms of price and is interesting enough (and definitely tasty enough) to carry that kind of price tag. Whether it's the same as Graciano or not, this is definitely unlike any Graciano-based wine you may have had before and is definitely worth a try if you run across it on the shelves of your local wine shop. 1) Reale, S., Pilla, F., & Angiolillo, A. (2006). Genetic analysis of the Italian Vitis vinifera cultivar 'Tintilia' and related cultivars using SSR markers. Journal of Horticultural Science & Biotechnology, 81 (6), 989-994. 2) Nieddu, G., Nieddu, M., Cocco, G.F., Erre, P., & Chessa, I. (2007). Morphological and genetic characterization of the Sardinian 'Bovale' cultivars. Acta Horticulturae, 754, 49-54. 3) Montaner, C., Martin, J.P., Casanova, J., Marti, C., Badia, D., Cabello, F., & Ortiz, J.M. (2004). Application of microsatellite markers for the characterization of 'Parraleta': an autochthonous Spanish grapevine cultivar. Scientia Horticulturae, 101, 343-347. 4) Buhner-Zaharieva, T., Moussaoui, S., Lorente, M., Andreu, J., Nunez, R., Ortiz, J.M., & Gogorcena, Y. (2010). Preservation and molecular characterization of ancient varieties in Spanish grapevine germplasm collections. American Journal of Enology and Viticulture, 61 (4), 557-562. 5) Borrego, J., Rodriguez, I., de Andres, M.T., Martin, J., Chavez, J., Cabello, F., & Ibanez, J. (2001). Characterisation of the most important Spanish grape varieties through isoenzyme and microsatellite analysis. Acta Horticulturae, 546, 371-375.